Back in the 90's people would blog for fun all of the time but you don't see too many people doing it today. Everyone is worried about making money online and they tend to set up multiple blogs to pull in traffic that they can profit from, but that's not what happens to 99% of the blogs that go live. Usually, people will set up a blog and abandon it after a few weeks of posting because they aren't making a full-time income from them yet. If you're an experienced blogger you know it takes far longer than that to be successful online by just posting content to your pages. You need to nurture everything and treat each post like it's going to make you $1,000 a day. You need to sit down and do the research before you make a post, you need to know who you're writing to, and you need to know what they want to read. Just doing those few things can make you more profitable than 99% of the blogs online today! Blogging for fun doesn't really sound fun to a novice writer because they probably want to make money right away. Well, if you want to make money you'll need to have fun in the beginning and not worry about your profits until later on. Below are a few things you should think about before you even buy your first domain for the blog you'll be creating. Do you know how to code/program, if not, you can always go with a WordPress theme which will make your blog look absolutely amazing! I actually prefer WP themes now when I'm blogging for fun because they are easy to install and I don't have to take weeks or month designing something that might not make any money for a few months or even years! Don't worry, Google doesn't hate themes like some people think, you're still going to be seen as unique in their eyes because all of your content and new images aren't going to be on anyone else's website/blog unless you're just doing a copy/paste type of blog post. In that case, you shouldn't expect to get much traffic from the search engines and don't complain when you're not making any money :D Blogging takes time, and the majority of that time is writing content, so put in the work and get the traffic later on down the road that will help you make money. If you're blogging for fun you will still need to look like a professional within your industry. If your logo was made in MS paint, and you're not blogging about MS paint, then you likely have a bad logo for your fun blog. Having a good logo will boost your credibility tremendously with anyone that lands on your pages. Think of it as part of your digital business card that you hand someone when they land on your website. They come to your homepage, see your great looking logo, and continue browsing around. If you had a bad logo you could actually lose people right away, which would skyrocket your bounce rate, and we all know that a high bounce rate means people aren't sticking around very long to read a second or even a third page. Did you check out those prices? You can literally get a professional looking logo for $5 and a little more if you wanted some sort of mascot to be designed. If you think about it, you could spend $50 here on SEOclerks for an amazing logo or you could go to a different website and pay 10x that amount for the same thing! When you're blogging for fun you will likely put more effort into your posts because you'll get drawn into them and add more detail. This is what usually happens, but you could fall into a slump and start posting 100 or 200-word blog posts that won't really do much for you later on. You'd be better off just avoiding these types of articles because not many people like reading short snippet blog posts when they have questions that need to be answered. Instead, take your time when writing and shoot for 2,000+ words with each blog post. You may not hit your mark every time, but at least you have an idea of how long you want your new post to be when you started writing. Invest some time into fun blogging and you will be rewarded later on when your traffic spikes here and there and your profits go up gradually. One of the biggest bummers blogging for fun bloggers run into is when they decide to start optimizing their blog post for the search engines and realize that the first 100+ pages on their website aren't done right. Sure, you may have great content on there but if it's not optimized you won't be getting as much traffic as you should be. Knowing your keywords isn't that difficult, you can even take the easy route and sign up with SEMrush to do some keyword research or log into your AdWords account and set up a paused campaign to see an estimated search volume for keywords within your industry. Easier keywords to rank for will have 1,000 or fewer searches per month, and these are the ones you should target first. The more difficult ones to rank for will have 10,000+ searches per month and should also be targeted, but you shouldn't expect to rank right away for them. If you're blogging for fun then you won't have a problem writing a blog post for a keyword that gets 500 searches per month. This is because you're just having fun, you're not worried about making money, and that's how a lot of successful bloggers start out! You're not trying to make money so you build a massive amount of posts targeting low traffic keywords, which will compile over time and bring in massive amounts of traffic later on. After this happens you will notice it's much easier to rank for those medium level keywords and possibly see your blog on page 1 for a very difficult keyword! If you're just starting out and want to blog for fun, you might want to start out with a niche or industry that you're already familiar with. Starting out with something you're familiar with will make the writing process go much smoother than if you had to do a bunch of research on a niche that you weren't really sure of in the first place. Think about it, if you're blogging for fun and already know the niche or industry, you likely don't have to research anything and can write what you already know. This type of blogging tends to be more genuine and has a first-hand experience point of view compared to someone who is doing little bits of research for each blog post they make. Knowing what you're going to blog about before you even set up your blog, is going to catapult you higher up the chain since you have more detailed and well-written content compared to a competitor who doesn't really understand the niche but is trying to profit from it. For me, I can write about anything website related or even animals if I really wanted to since I've been studying SEO and Online Marketing since 2003 and have always been intrigued by animals since I was a little kid. I couldn't really write about cars or yachts because I don't invest as much time in them, because I'm honestly not as interested, and all of that will show in my posts if I were to write about them. Stick to something you already know, post great content, and you will be happy you stuck in your lane later on! If you're doing everything I mentioned above, you should also be monetizing your content in order to make a few bucks here and there. If you're blogging for fun and hope to make some money out of it, later on, you will always need to monetize it somehow. When you monetize a website you're adding affiliate links, partner links, selling ad space, putting up some Adsense code, selling your own products or services, and maybe even reselling a different persons products or services. It doesn't really matter which method you choose, just know that if you go the product or service route that you will need to invest more time into your blog because people will have questions. This is why a lot of bloggers tend to go with automated ad space from a company like BuySellAds or they will just slap some Adsense on their pages and call it a day. 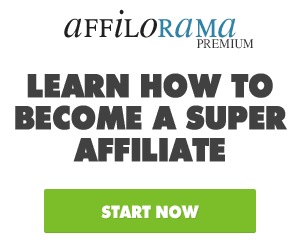 If you're blogging for fun, but you want to turn this into a business, I would recommend going the affiliate route since you can control what shows on your website and that means you can promote high converting products or services that give you the best commission. When you post Adsense on your pages you aren't really sure how much you'll make per click and that can get frustrating. Blogging for fun tends to turn a blog into a hub of content for anyone that is interested in the niche/industry you chose. If you know a lot about the niche already then it will be much easier to craft high-quality content for each blog post. Do everything right and you will likely be able to sell your blog or make some money out of it later on down the road due to all the keywords you're ranking for and the traffic that is converting into a sale!